Universities and colleges that wish to recruit students from outside the European Economic Area under Tier 4 of the immigration Points Based System must hold a Tier 4 sponsor licence. The Confirmation of Acceptance for Studies (CAS) allocation for the University of Bedfordshire was re-instated on 5 August 2014 and that of University of West London on 3 September 2014. UK Border Agency have worked closely with these Universities to improve their standards for recruiting international students and will continue to work with them to ensure these standards are maintained. As sponsors that benefit from immigration, universities and colleges must take responsibility for the students they recruit from outside the European Economic Area. The Home Office has serious concerns about these institutions, and has taken this action while it investigates whether they pose a threat to immigration control. Glyndwr University has had its licence to sponsor international students suspended. It has been removed from the register of licensed Tier 4 providers while the Home Office conducts further investigations into its ability to fulfil its sponsorship duties. The same action has been taken against a number of private colleges. are not fulfilling their sponsorship responsibilities. The Home Office will discuss its findings with the institutions involved. If the institutions can address the issues identified, the sanctions against them may be lifted. If they fail to engage with the Home Office or fail to address the concerns raised, further action may be taken. For those institutions assigned zero CAS, their licence may be suspended. If an institution whose licence has been suspended fails to address the issues raised, their licence may be revoked. Suspension removes the institution from the public register of sponsors while further investigations are carried out. They will be notified that their licence will be revoked. If they fail to address concerns raised by the Home Office, and cannot recruit students during this period. Assigning zero CAS is a lower level of sanction and the institution remains on the register while investigations continue. They will be unable to recruit new students during this period. Students studying or applying to study at institutions assigned zero Confirmation of Acceptance for Studies (CAS): Students who are already studying with their sponsor: These students are not immediately affected. Their visa/leave to remain is still valid. They can continue to study and travel to and from the UK as normal, subject to meeting the other immigration requirements. Students who have an outstanding overseas visa application, or application to extend their leave to remain in the UK: These students are not immediately affected. Outstanding visa applications relying on a CAS issued before the action was taken will be processed as usual. Existing visas/leave to remain are still valid. Students studying or applying to study at institutions whose licence is suspended: Students who are already studying with their sponsor: These students can continue studying while their sponsor’s licence is suspended. 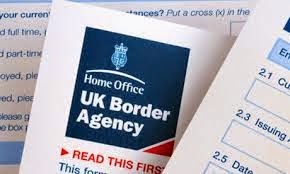 Students who have a visa to come to the UK but have not yet travelled: These students are strongly advised not to attempt to travel to the UK until the suspension has been resolved. Students should check the register of sponsors for any change in their sponsor’s circumstances. Students have an outstanding visa application to come to the UK, or who have been issued with a CAS and intend to apply for a visa: Visa applications relying on a CAS that was issued before the sponsor’s licence was suspended will be placed on hold. New applications will be accepted but placed on hold. Students with an outstanding application to extend leave to remain the UK, and those who need to make such an application: Students can still extend their permission to stay if it is due to expire when the Tier 4 sponsor’s licence is suspended, as long as they were issued with a CAS before the licence was suspended. These applications will be placed on hold until the suspension is resolved. Students who are on holiday overseas when their sponsoring institution’s licence is suspended: Students with a current valid visa will be able to return to the UK and continue studying (subject to satisfactorily meeting all other immigration requirements). Students who choose to leave the UK whilst their sponsoring institution’s licence is suspended: Students with a current valid visa will be able to return to the UK and continue studying (subject to satisfactorily meeting all other immigration requirements). However, if the sponsoring institution’s licence is revoked whilst the student is overseas the student will not be allowed to re-enter the UK as their visa will be cancelled. Students whose sponsor has had its licence suspended and have not yet applied: Students in the UK or overseas who are planning to apply to one of the institutions named above but have not yet done so, should check the register of sponsors regularly for any change in the institution’s sponsor status or consider an alternative establishment. Prospective students can find an alternative sponsor by applying to another institution. What support is available for students at an institution that has surrendered its licence or had its licence revoked? The Home Office has set up a sponsorship working group with representatives from the education sector, to discuss how to support genuine students. The Home Office will inform the group of any new developments, while working group memberswill report any issues affecting students. The working group will develop a process to assist genuine students, and ensure this is communicated to studentsaffected. The working group are currently developing a process to help students at institutions that have had their sponsor licence revoked or surrendered, to find an alternative sponsor. We will add more detail to this factsheet as it becomes available. The Home Office has a responsibility to take immediate action where we have reason to believe that a sponsor is no longer fulfilling its obligations. Education providers have a duty to take their immigration responsibilities seriously. Students with leave at the institution: in most cases they will have their leave curtailed down to 60 days (starting from the date of notification by the Home Office) in which to find a new sponsor. Students overseas who have not yet travelled: will have their visa cancelled. If the student does travel to the UK they will be refused entry. Students seeking a refund of any fees will need to discuss this with their educational institution; the Home Office cannot become involved in these discussions as it is a contractual issue between an individual and their education provider. If an individual feels that they have been the victim of financial fraud then they should contact the Police or seek legal advice. Home Office on 0114 207 1688 (UK) or 0044 114 207 1688 (outside UK) between 9:00am and 5:00pm, Monday to Friday and 9:00am to 1:00pm on Saturday. 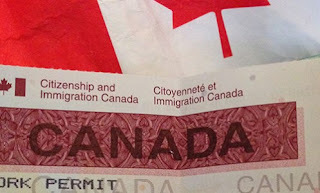 It is very difficult to find the sponsorship of the immigration purpose. Almost every country has their own rule to provide the visa to the other nationality people. Overall, the sense of the information is very helpful for the people. I found it very unique.